Looking for an instantly recognizable logo that truly captures the essence of your company? 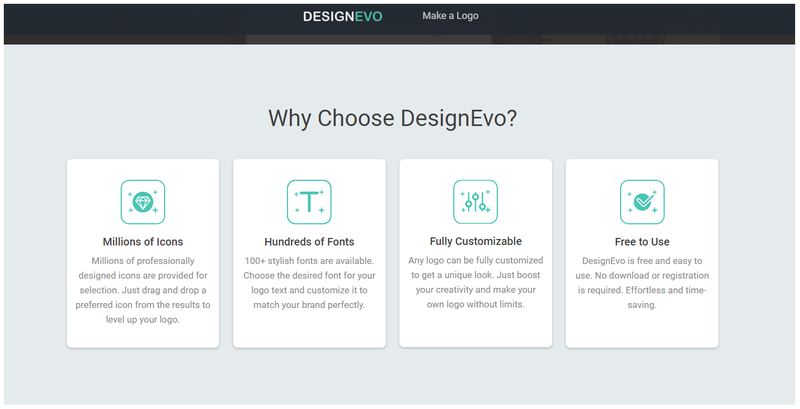 Well, DesignEvo LogoMaker is the logo making software on the bloc that helps to design your own logo in a few easy steps. 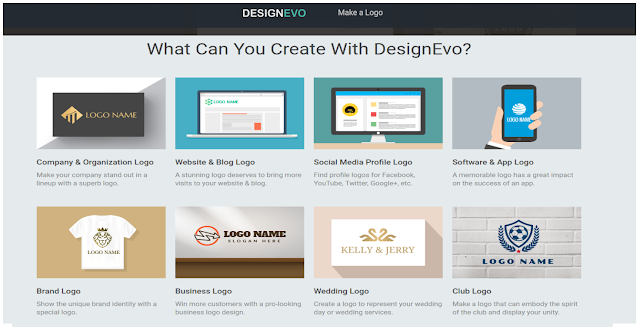 This portal offers a simplistic way to design a logo without any professional help. Not only that, currently more than 3000 templates and more fonts available. A fuss-free interface and “help pop-ups” guide you through this online portal making it further easy to use. A combination of off-white and white background works as an excellent canvas to let you try out various designs. The “icon”, “text” and “shape” tabs on the far left offer you with hundreds of designs and also let you search online for the fonts, images and shapes that you are looking for. You can add the slogan or the tagline of your company in the most striking font, given the hundreds of font option. The logo text can be made unique by selecting from the several alignments, colour gradient and spacing options. You can alter the size of the logo according to your wishes. The “background” and the “layout” buttons on the top bar let you select the background colour and the layout of the logo. The site even offers you to preview your logo on a number of items like on visiting card, on letter-heads, diaries, stationery, websites and on t-shirt. The “Tutorials & Tips” section on the website offers several ideas and tips on logo making so your creativity gets flowing. 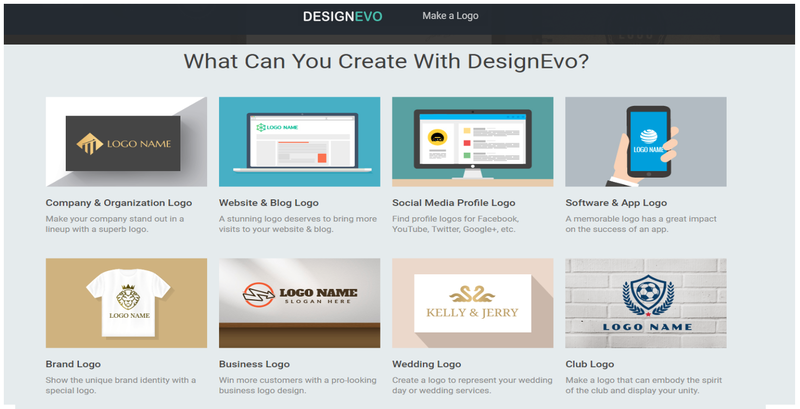 You can come up with a distinct and unique logo with just a few clicks. Once the logo has been made, you can download it on your system by clicking on the “download” button. This will download your file automatically as png and jpg image in a zip file. 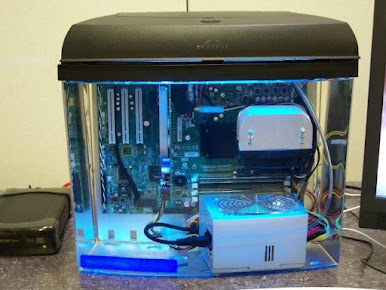 DesignEvo offers compatibility with almost all modern browsers on Windows, MAC and Linux computers. The site also offers a comprehensive list of logo categories to make it easy for you to design a logo based on the nature of your company. There are a variety of logo templates for various categories like automobiles, food & drinks, textiles, education, club, music, fashion, art & entertainment, sports & fitness etc. to ease the process. Another good part of the software is that you do not need to sign up or download it in order to use it. Just open the website and start your work! A variety of logos relating to companies, brands, weddings, clubs, websites and social media profiles can be easily created. Given the “simplicity” trend prevailing in logo making all over the world, this software comes as a great tool for people who want a simple logo in a few simple steps and in minimum time.